This shielded gray seven foot snagless Cat6a cable is ideal for situations with higher environmental noise than normal. Cat6a was developed to achieve maximum distance of 100 meters for full 10-Gigabit network speeds. This robust spec will afford you the extra headroom across your network that Cat6 cannot. The 500 Mhz performance is double that of Category 6 and five times the bandwidth capacity of Category 5e. The extra performance is ideal for Power over Ethernet (PoE) and Voice Over Internet Protocol (VoIP) applications where data loss is audibly and visually seen and heard. The latest draft declares a new measurement for Power-Sum Alien Crosstalk to ensure neighboring pairs do not cause disturbance to the other cables. The cable center isolator maintains strict pair separation optimizing NEXT performance. Our Cat6a patch cables are complete end-to-end solution and are tested for compliance with all EIA/TIA-568-C Category 6 specifications. 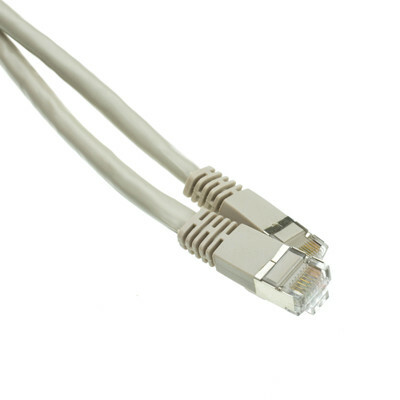 This cable is a shielded gray patch cable with molded boots (snagless installation) and extra protection for the RJ45 connector and clip. Cat6a cable includes a spline and ribbing to help ensure separation between the pairs which limits cross talk. The connectors are wired to the T568B standard. The individual conductors are 26 AWG (American wire gauge) stranded pure copper. 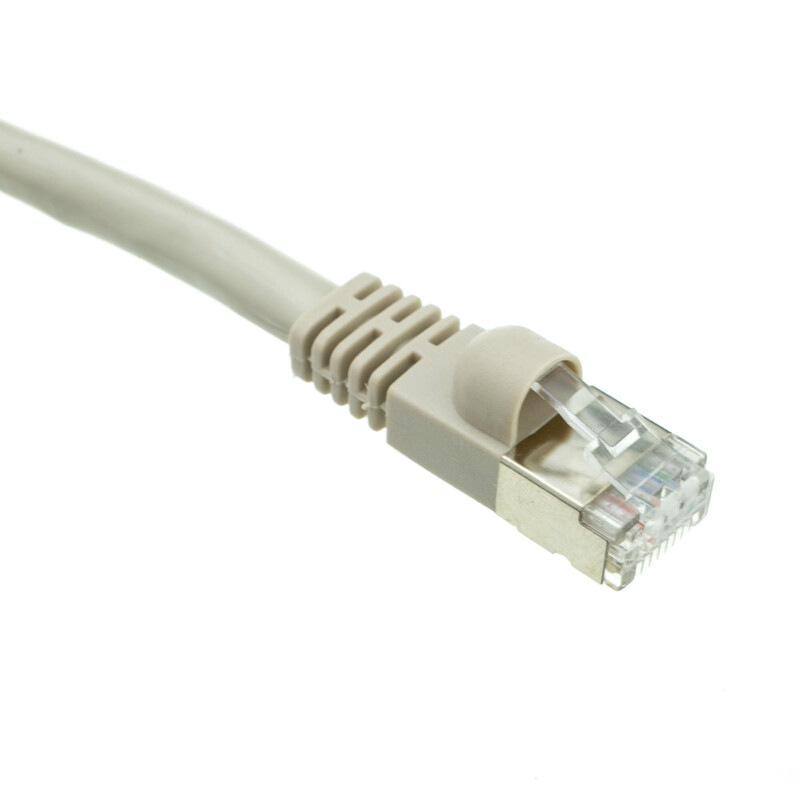 Cat6a patch cables are stranded to improve flexibility. Pure copper conductors provide the best signal possible. The RJ45 plug features gold connectors to prevent corrosion thus ensuring a longer cable life. After installing these CAT-6A Ethernet patch cables into my home network, my Download Speed fluctuations disappeared. Great!